The history of the men and women who together have built the oldest company included in the CAC 40 French stock market index and one of the oldest manufacturing companies in the world. This anniversary is an opportunity and an occasion to remind everyone of the strength that is acquired through 350 years of history and 350 years of ongoing innovations. Our experience means we understand and focus on the long term and gives us the composure and agility to adapt to the ever-changing world. As we look back over our past and examine today’s world and what we do, we are convinced that there are many reasons to believe in the future. It is with our sights set on the future and innovation that we are celebrating this anniversary. It is our optimism that we want to share with you in 2015. 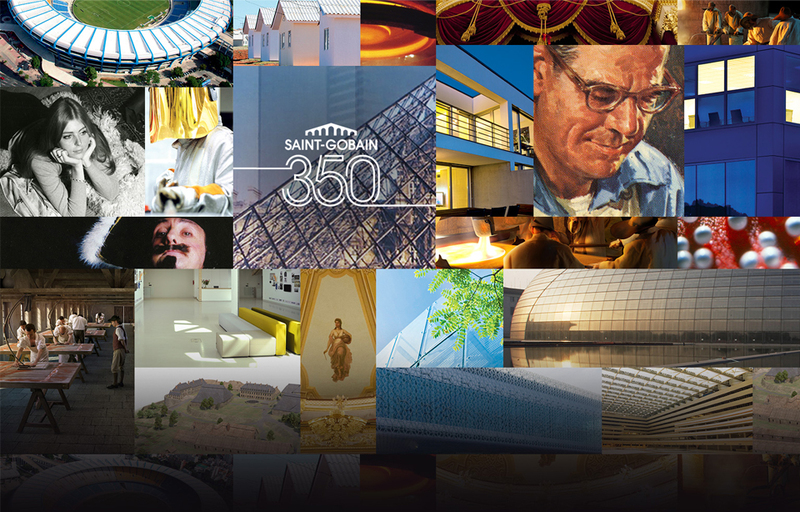 For its 350th anniversary, Saint-Gobain has produced an anniversary film illustrating its "350 reasons to believe in the future."